Ellis Grayson Bond (EGB) 6 is a large, planetary nebula in the constellation of Leo at RA 09h 53m and DEC +13d 44m 50s having a size of 11′ x 13′ with low surface brightness. 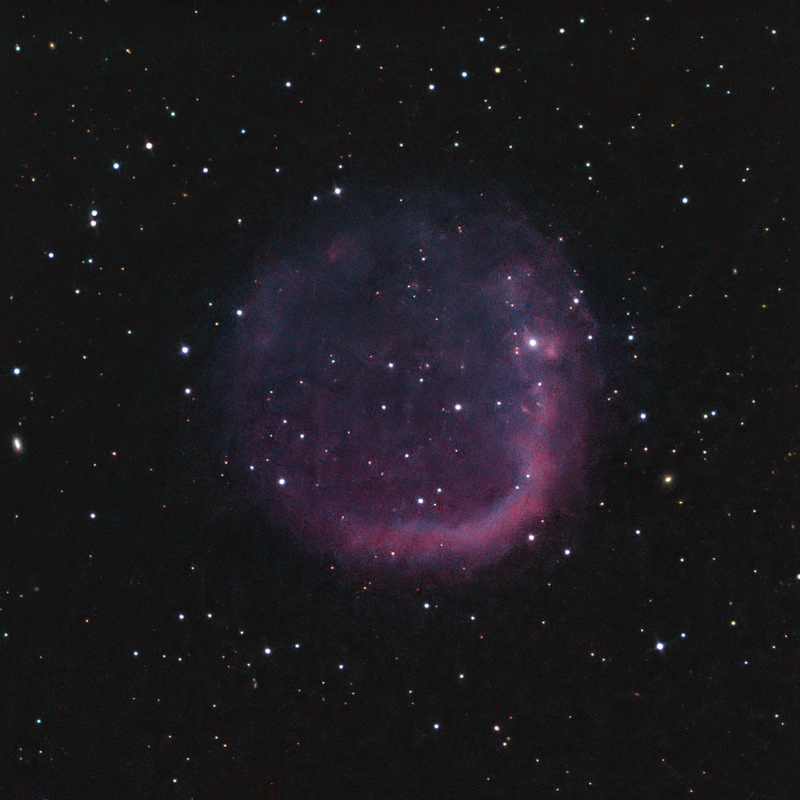 This faint nebula was discovered by Bond in 1984 from Palomar Sky Survey prints. It is 1,500 light years distant with an age of ~60,000 years. North is up. It has a very hot (110,000 K) white dwarf central star (WD0950 + 139), which has been the subject of much research regarding the evolution of stars and the formation of planetary nebula. Initial suggestions that this star may actually be a binary was validated recently with HST images.